Boston Acoustics HSi H460T2 Weather-Resistant 6" In-Ceiling Stereo SpeakerHSi H460T2 weather-resistant in-ceiling speakers are designed for outstanding durability and exceptional sonic performance. These weather-resistant speakers can be used in bathrooms and other moist interior locations as well as exterior locations that include some protection from the elements. Boston Acoustics High Humidity in-ceiling speakers go through an exhaustive life test that submits the speakers to many years of exposure to the elements. 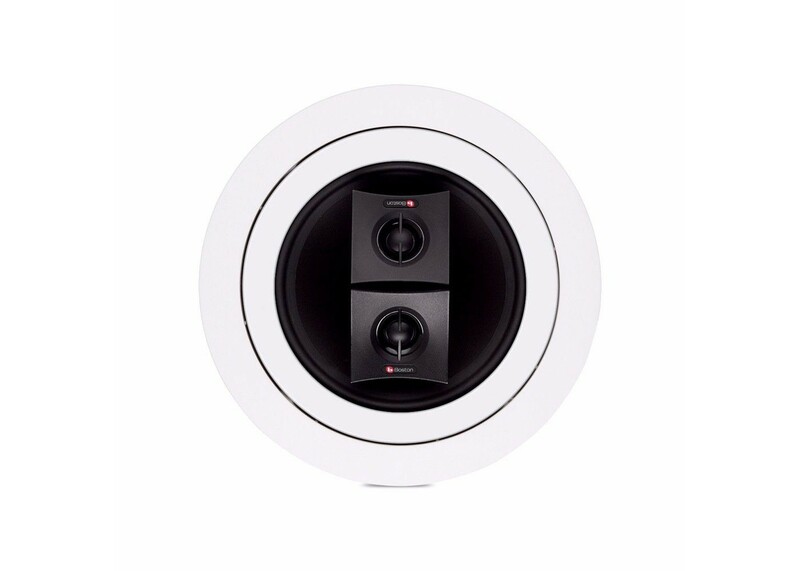 The loudspeakers are designed to pass the internationally recognized IEC529 and Mil Spec 810. These tests simulate approximate climatic conditions and provide an indication of the degrees of weather resistance. Boston Acoustics further submits these models to long term in-use testing throughout the country.